The life of an automotive journalist consists of what I like to call “Surprise Mondays”. That’s because those are the days when I get my new car for the week. In most cases I don’t know what it is I will get until the phone rings, buzzes, or sings an Adele song (not that we would have such a ringtone, although we might). The point is that Mondays are spent, once the car is delivered, getting familiar with all the do-dads, the seat set-up, the radio presets, navigation (if it has one) and all the other things that need to be done before we can actually drive. All cars, SUVs, trucks, and vans have the same basics, a steering wheel, pedals, some manner of starting the engine and a way to get it rolling. Beyond that there can be a sometimes confusing array of “stuff” to be set up and to get used to (an AMG model by the way has an owner’s manual that rivals “War and Peace”). The weeks we get something that we are unfamiliar with can be a little maddening. Especially when we can’t figure out how to preset the radio, get the navigation to point in the actual direction we are going or when we can’t figure out how to turn the damn annoying voice command feature off. There have even been weeks where several days will pass before we even know that there is a feature available. It may be Saturday before we realize that the climate control really does sync, or that the center box in the console is refrigerated (and that a frozen cell phone will still work after it’s thawed). Sure, it’s great trying out a vehicle we may not be that familiar with, or an exotic sports car that few of us will ever buy, but there is something to be said about getting a car we have had before, albeit a newer model or a variant of a new one we’ve had before. That’s why on a recent Monday after hearing Adele singing “Hello from the other side”, that we were glad we were getting a Hyundai Sonata for the week. We have driven the Sonata in all its various forms: the Limited (2015), the Hybrid (2016) and the 2015 Sport 2.0T. Now there was a time when having a car from Korea was odd. “They build it where?” and the reliability was somewhat dubious, but that was then and this is now. Now, Hyundai has moved beyond the dubious reliability stage, thanks in large part to better quality and one of the best warranties in the world. 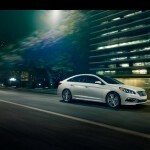 The Sonata is one of the best selling sedans in America, and for good reason. 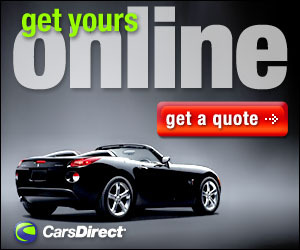 It’s a good car, built well and price reasonably. So it was then that when we knew we would be getting the 2016 Sonata 2.0T for the week that we knew we would be in familiar territory. 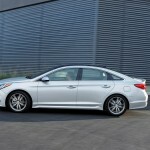 For 2016 the Sonata (the seventh generation was introduced in 2015) gets a larger touchscreen display, now 7-inches up from 5 (still 8-inches on the Limited), and it now has Android Auto. There are now aluminum suspension components that Hyundai says will reduce unsprung mass and improve handling and a conventional sunroof Is now available on the Sport model as an option and the Limited as standard. There is also a new 17-inch wheel design and a Sport front fascia on the Limited trim. 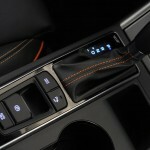 Limited 2.0T models also add a heated function for the D-cut steering wheel. A rearview camera and automatic headlights are standard on all trims and an automatic emergency braking system debuts on the Limited 2.0T. 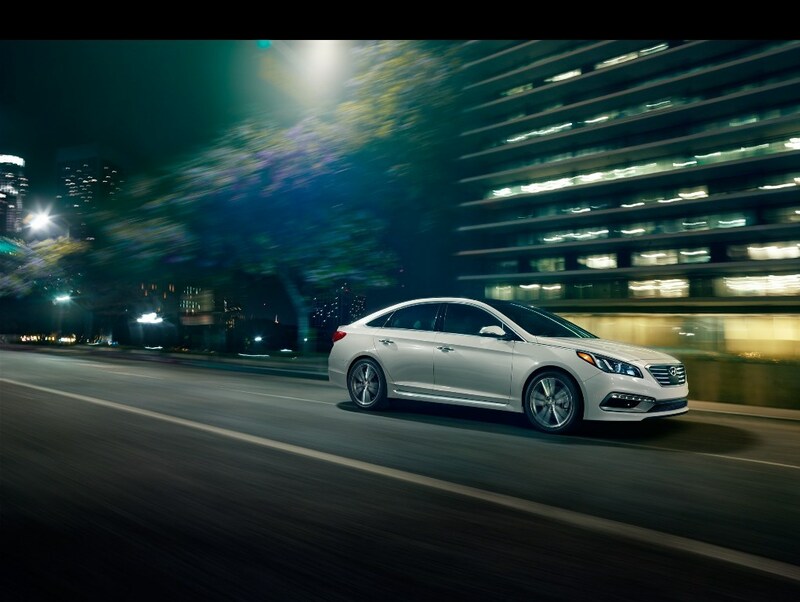 The 2016 Hyundai Sonata is available in SE, Sport, Eco, Hybrid, Limited, Sport 2.0T and Limited 2.0T trim levels. Standard features include automatic headlights, AC, full power accessories, cruise control a 60/40-split folding rear seatback atop 16-inch alloy wheels. In addition to the bigger 7-inch touchscreen display, there is a rearview camera, the Blue Link telematics system and a six-speaker sound system with a CD player, HD radio, satellite radio, a USB port and an auxiliary audio jack. The Sport and Eco trims add LED daytime running lights, side mirrors with integrated turn signal indicators,. Inside there is simulated leather cabin trim and an eight-way power driver seat including power lumbar. The Eco differs with a special fuel-economy-focused engine, while the Sport gets 17-inch alloy wheels, dual exhausts with chrome tips and some sporty body styling tweaks. 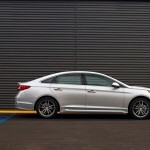 The optional Premium package for the Sonata Sport gives you a sunroof, keyless entry and ignition, a hands-free remote-opening trunk, heated front seats, partial leather upholstery, a leather-wrapped steering wheel and shift knob, dual-zone automatic climate control, rear air vents and blind-spot and rear cross-traffic warning systems. There is also a navigation system, an 8-inch touchscreen display, an upgraded audio system and an auto-dimming rearview mirror. In addition to the items from the Premium package, the Limited includes the Sport’s features without the body styling and adds LED taillights, a sunroof, leather upholstery, wood grain trim, a six-way power passenger seat, heated rear seats, an auto-dimming rearview mirror. The 2.0T Sport puts a more powerful engine under the hood along with some of the items found in the Limited. There are also 18-inch wheels, sport-tuned suspension and steering, a rear diffuser with quad chrome exhaust tips, xenon headlights, and sport seats with accent stitching, a flat-bottom sport steering wheel with paddle shifters. The Limited 2.0T is the top of the line and there is adaptive cruise control, automatic high-beam headlight control, rear parking sensors, a lane-departure warning system, and an automatic pre-collision braking system. The driver also memory settings, a heated steering wheel, rear window sunshades, ventilated front seats, and a nine-speaker premium audio system. 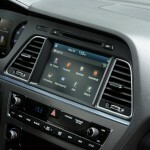 All this in addition to all the technology features found in the Limited trim and the Sport’s Tech package. 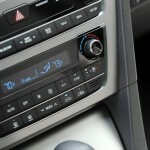 You can get many of the same features on the Limited 2.0T as part of options packages on the lower trims. 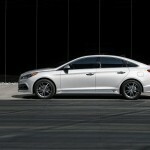 Under the hood, Hyundai continues with the same four-cylinder engine lineup. A 2.4-liter Theta II GDI engine producing 185 horsepower and 178 lb. ft. of torque powers the SE, Limited and Sport models (the Eco uses a 1.6-liter turbocharged engine producing 177-hp) , while the 2.0T equipped models get a 2.0-liter Theta II turbocharged powerplant with 245 horsepower and 260 lb. ft. of torque. . Both engines are paired with a six-speed SHIFTRONIC automatic transmission (the Eco gets a seven-speed dual-clutch transmission). The same story as last year continues on the road for the Sonata; it delivers a quiet smooth ride with plenty of room inside and well thought out, easy to read gauges and controls. Like last year the only downside is the Sport in the Sport model. The 2.0 engine is just fine but still seems to be a little underpowered. The week prior we had the Lexus IS200t, a more expensive car, but with 241 horses under the hood as opposed to the 245 for the Sonata. The Lexus was also a bit heaver; 3583 pounds curb weight as opposed to 3492 for the Sonata. Yet the Lexus seemed more powerful. We did 0-60 in 6 seconds in the Lexus; like we did last year, the Sonata could do no better than 8-seconds for 0-60. 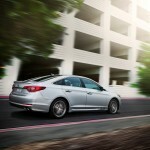 For everyday driving however the Sonata is a very good sedan, make no mistake about it. 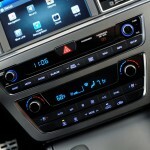 The interior of the Lexus was a bit smaller and confined; the Sonata will be more comfortable for the average family. Overall the Sonata has always been a winner in our book and for the new 2016 shows no signs of changing our view. As always there were no surprises, and a familiarity that we always like. The home run for the Sonata, and perhaps one of the biggest reasons it’s in the top 20 best selling cars in America is the price; our tester topped out at $29,885 (In fact a friend who rode in our tester last year was swayed to buy a Sonata giving up the Camry he had). Combined with a great standard features, a good drive and a pleasing style, don’t expect to see the Sonata go away anytime soon; and that’s just fine with us. Front Head Room: 40.4 In. Front Hip Room: 55.3 In. Front Leg Room: 45.5 In. Front Shoulder Room: 57.9 In. Cargo Capacity, All Seats In Place: 16.3 Cu.Ft.